I think I was born an old fogey. Those rides look way more fun than the last time I was at the AK state fair... 8 years ago? 9 years ago? Cute! 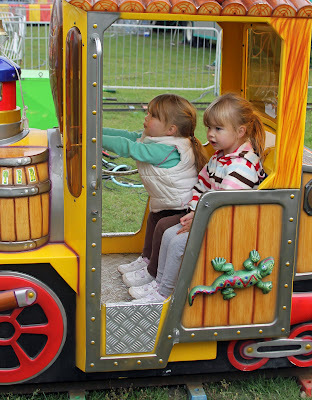 I have pics of my girls on that circus train, when they were that age. 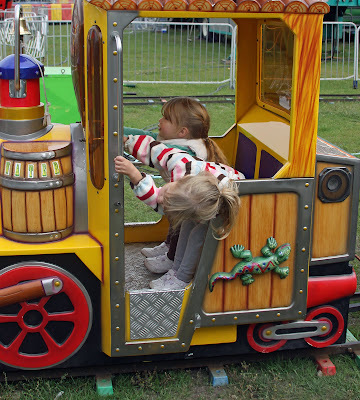 I'm so excited, we decided to go to the fair! Your pics make me want to head up there right now. Thanks for sharing them.